My inner control freak loves bonsai! It’s nature, in a tiny, perfectly-designed form. 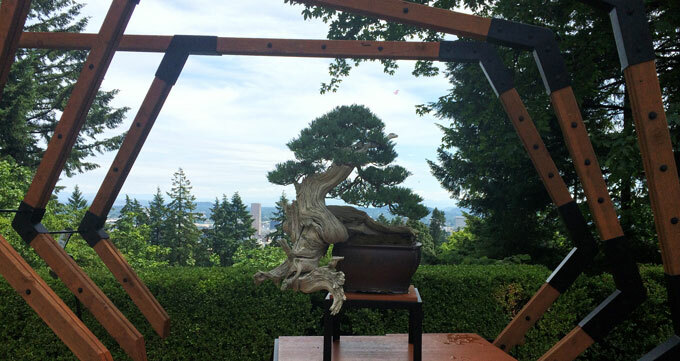 Over a long weekend in Oregon, I lucked into an exhibit of American bonsai by Ryan Neil at the Portland Japanese Garden. It was charming and beautifully staged in origami-like frames. Why am I talking about bonsai? Because it is a great analogy to how we’ve evolved our thinking on brand and organizational development. The old school way was the “best practices” model — there is a right, replicable way to do things, and we succeed by emulating the ideal. And, certainly, it is enormously useful to study the success of others. What this overlooks is that organizations — and people — are not machines made up of levers that can be reliably manipulated just so. They are complex organisms filled with complex organisms, and despite common patterns no two are alike. Human systems simply can’t be templatized the way business books promise. When we insist an organization must look or act a certain way, we lose sight of the individual characteristics that give it strength and power. And we miss seeing what might be actually better, outside of tradition and beyond our imagination. To be sustainable, brand and culture must be built on what is authentically different, not what is the same. That’s not to say we can grow wild and still succeed. Bonsai has much to teach us about careful cultivation. But with careful training and pruning, we can become something amazingly unique from the inside out.